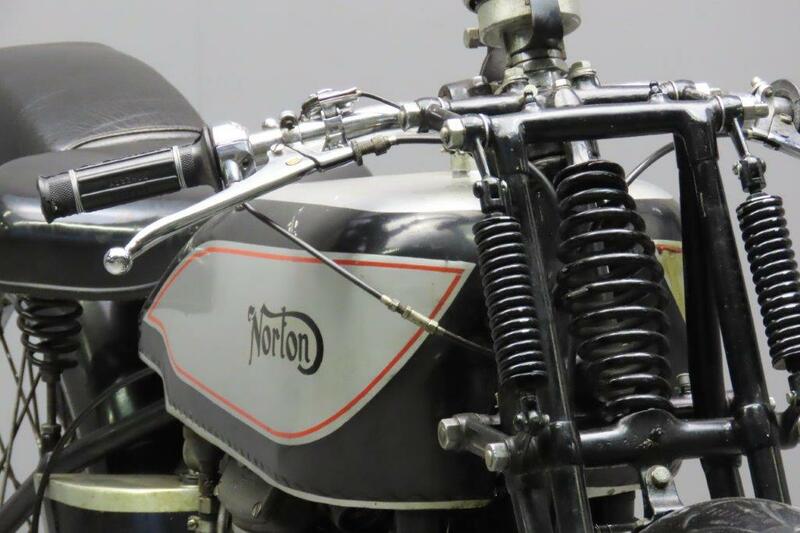 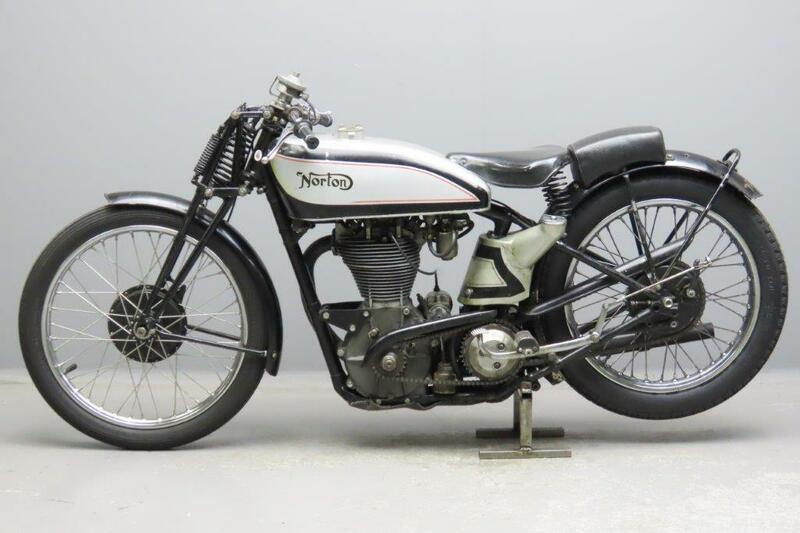 One of the most charismatic model names in motorcycling history, ‘International’ was first used by Norton for its top-of-the-range sports roadster in 1932. 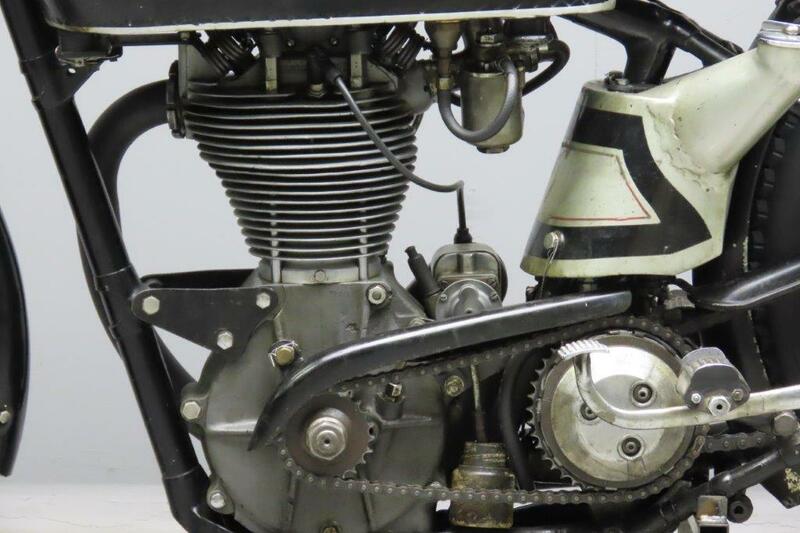 The Inter’s Arthur Carroll-designed overhead-camshaft engine had been developed in the works racers for the preceding two years, and although it retained the classic 79x100mm bore/stroke dimensions and shaft-and-bevels cam drive of the existing CS1, it was entirely new. 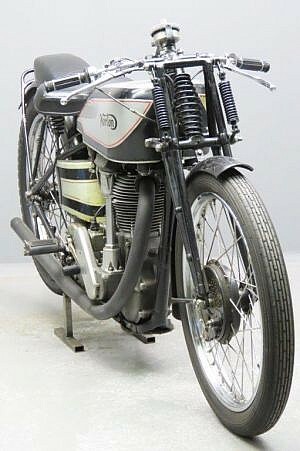 Based on the works bikes and intended for racing, the International could nevertheless be ordered with refinements such as lights and a kickstart-equipped gearbox. From 1936 onwards Internationals supplied specifically for racing began to divert from the road machines, and they were given many upgrades including better oiling, lumpier camshaft profiles, bigger carburettors and racing magnetos. 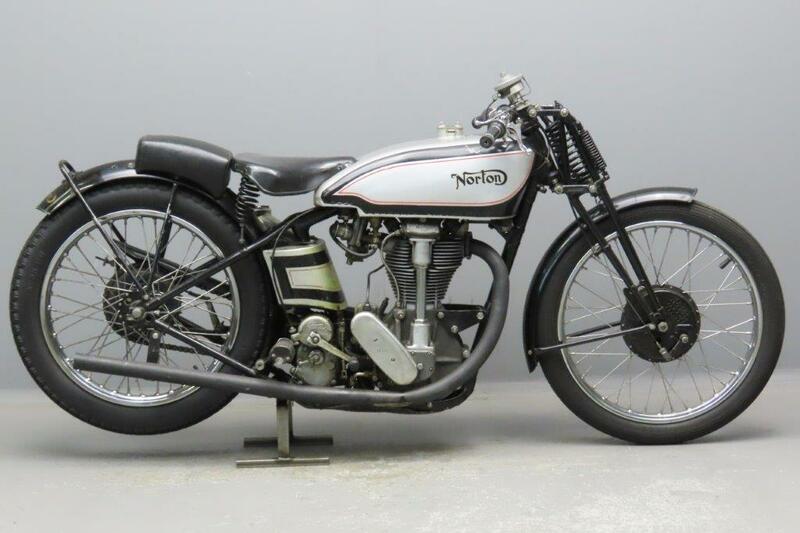 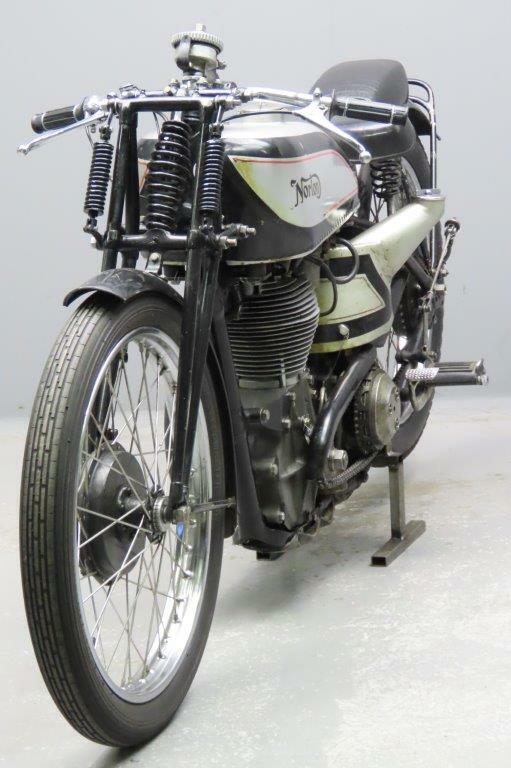 This well-sorted machine has been built to “full racing/Manx” specification; only a few of the 122 1936 Internationals had these specs. 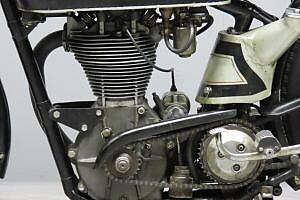 The special racing/Manx frame has scalloped frame mounting lugs; only magnesium engine equipped bikes had this feature when they left the factory. 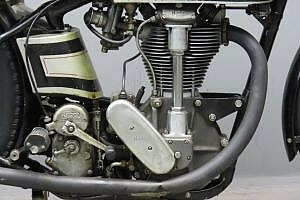 aluminium-bronze head, alloy barrel and BTH TT magneto. It’s in excellent shape and a very fast, strong runner.